Ilean Schmidt, 94, passed away December 3, 2018 at St. Vincent Hospital in Evansville. She was born in Dale, Indiana on October 18, 1924 to the late Joseph and Elizabeth (Elder) Henderson. Preceding her in death was her husband, John Edward “Ed” Schmidt in 1998; sisters, Pauline Wathen, her twin, Marty Mason and Florence Henderson; brothers, Carl, Joe, Tom and Leo Henderson. Ilean was a 1944 graduate of Rockport High School. 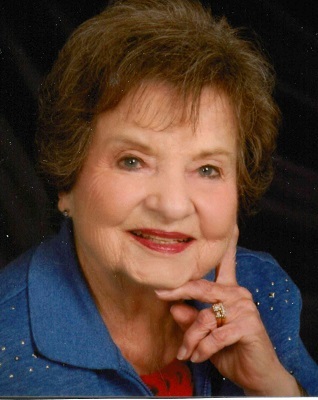 She was an active member of St. Paul Catholic Church, Daughters of Isabella Nativity Circle 710, American Legion Auxiliary Unit 213, Perry County Memorial Hospital Auxiliary, where she enjoyed volunteering and the William Tell Senior Citizens. A sports lover, especially IU Basketball, Ilean enjoyed attending all of her great grandchildren’s sporting events. Ilean remained active up until her final days; visiting her family and friends, dancing, playing cards and traveling. Surviving are her daughters, Carla Trent, Evansville, Paula Miller (David), Tell City and Emily Schmidt, Tell City; a sister, Emily Miller (John), Narragansett, RI; a brother, John Henderson, Rockport; grandchildren, Christine Hitchcock (John), Brian Wahl (Kris), Kevin Wahl (Maria), Jamie Lloyd (Danny), Josh Miller (Heather), Amanda Peters (Eric), Ashley Anderson (Dustin) and Amber Schipp (Logan); 16 great grandchildren, Madison, Jackson, Chase, Zach, Abby, Christian, Aidan, Keaton, Presley, Harper, Ava, Nicholas, Kaylee, Amelia, Ethan and Hunter; and her dear friend, Rose Ziegelgruber, Tell City. A Mass of Christian Burial will be held at 10:00 AM CST on Friday, December 7, 2018 at St. Paul Catholic Church. Burial will follow in St. Mary Cemetery. Rev. Dennis Duvelius will officiate. Visitation will be Thursday from 2:00-8:00 PM with a D of I service at 6:30 PM and Friday 8:00 AM-9:30 AM at Huber Funeral Home, Tell City Chapel. In lieu of flowers memorial contributions may be made to St. Paul Catholic Church or Perry County Memorial Hospital Auxiliary.